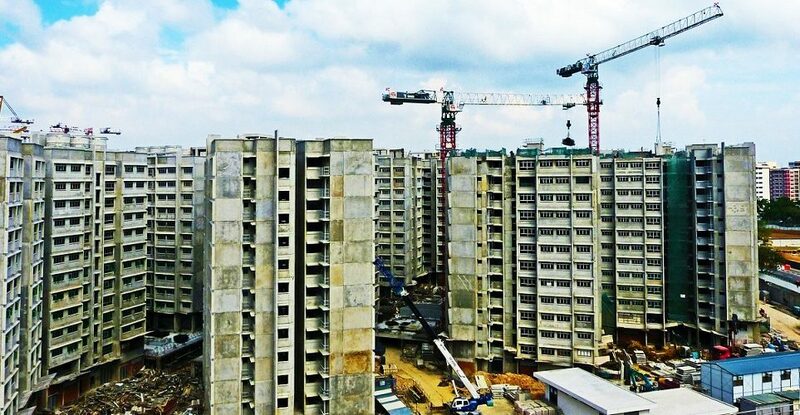 A recent Bloomberg report highlighted that small construction firms in Singapore are likely to face more difficulties repaying debt as a clampdown on property speculation worsens their already tight liquidity. The overall economy in the Island Republic grew at a slower pace in the second quarter than initially projected as construction activity plunged in recent months. The government increased stamp duties for developers in July, while also tightening borrowing limits for individuals taking up their first housing loan. This was in response to a sudden jump in property prices earlier in the year. Any slowdown on the demand for homes is likely to hurt the construction sector, which accounted for 12.3% of Singapore’s employment in 2017. Small domestic construction firms are especially vulnerable because they face issues such as thin margins, according to property advisory firm Ernst & Young (EY). Angela Ee, a partner at EY said many firms are probably affected by rising interest rates on their borrowings, while delays in collections from customers would result in tight liquidity and potentially difficulties in repaying their loans. However, cracks were already emerging prior to the curbs, say other market watchers. Singapore-listed Ryobi Kiso Holdings Ltd., which specialises in piling, said in June that its subsidiary was unable to meet repayment obligations. Simon Jong, head of fixed income research DBS Group Holdings Ltd said property developers are likely to squeeze construction firms in an attempt to maintain margins, resulting in “headwinds”. Bigger developers often contract out projects to smaller construction companies in Singapore. The tightened policy has already hurt the bonds of smaller Singapore developers. Oxley Holdings Ltd.’s notes due in 2021 have slumped 9.4 cents on the dollar this year to 90.5 cents, according to Bloomberg-compiled prices. “Singapore developers with higher leverage may have less room to maneuver, in case they cannot sell their units,” said Wong Hong Wei, credit research analyst at Oversea-Chinese Banking Corp.